With 92 percent counted, far-right presidential candidate Jair Bolsonaro is slated to become the next president of Brazil. Bolsonaro obtained 55.6 percent of the vote, against PT candidate Fernando Haddad who received 44.3 percent. Reports yet to be confirmed that up to thirty percent of the voters either refused, cancelled their vote or abstained. An atmosphere of social confusion and division prevails in Brazil. There are no reports of electoral fraud. “Not even the military dictatorship defended an ideology which is so openly fascist like Bolsonaro does today. He does not care about being compared to Hitler,” Michael Löwy. 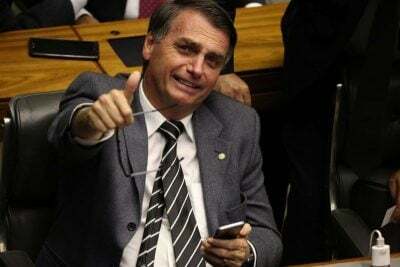 “It is difficult to explain the emergence of a phenomenon best described as pathological politics on a large scale” according to French-Brazilian sociologist Michael Löwy, in an interview when asked about Jair Bolsonaro’s ascension, Brazil’s presidential candidate whose great-grandfather was a Nazi soldier. A former lawmaker that delivered just two bills across almost three decades, as a presidential candidate now Bolsonaro promises, among many other fascist “policies” layered in a total lack of project to the country as he refuses to debate, to make the “police free to kill” without any investigation. The candidate of the Liberal Social Party (PSL, totally in favor of privatizations, and deeply nationalist) who leads the polls, has once said that a civil war is the only solution for Brazil. Bolsonaro often attacks his opponents with much violence, especially leftists and homosexuals promising a “zero tolerance” against them once he is elected, which includes torture and assassination. Not surprisingly, the nation is living a growth of violence on the eve of the second round of the election. In June of 2013, Brazil lived its social “Spring”: another sociological “enigma”: hardly explained and analyzed: it was very similar to others all over the world whose multitudes did not know exactly why and how they suddenly took to the streets (as teleSUR showed interviewing Brazilian citizens at the time). Movements which have developed around the world, coopted by the mainstream media – locally and internationally distorting facts, or not putting news in context: the minimization of the rule of law hurting civil liberties, increasing repression, corruption, and foreign influence. Filled with hate, resentment, discrimination, and violence including by State police forces, sometimes infiltrated among people: even those protests, an important part to overthrow the then-President Dilma Rousseff three years later and to boost Bolsonaro, were a consequence of dark winds blowing from the offshore against the South-American giant. “The stranger, of course, is not the fascist preaching of an individual, but the adhesion of a large part of the electorate to these ideas,” observed the sociologist based in Paris. “The spectacular success of Bolsonaro is something that still needs to be explained,” stated Löwy as he astonishingly mentioned that the former captain army does not care about being compared to Adolf Hitler – Bolsonaro also praised the Nazi as a great strategist, saying he would have enlisted in Hitler’s Army. In retribution, David Duke, a former Ku Klux Klan leader, has manifested his enthusiastic support to Bolsonaro: “Sounds like us.” Inside his country, Bolsonaro’s supporters are in general on the same level, of course. In the Information Age, there is no international conspiracy that both Julian Assange and Edward Snowden cannot bring to light. The fragility of the democratic institutions have been aggravated since President Dilma Rousseff was impeached, in August of 2016. “There is not much mystery about what is happening in Brazil. This is the good old fight for social surplus”, the specialist says. An international scenario which, under U.S. President Donald Trump, favors far-right wing politicians. “Family Allowance [a national program that helped lift millions of Brazilians out of poverty, and remove the country from the U.N. World Hunger Map], which reached 50 million poor people, cost about 30 billion reais [about U$D 8 billion]. In comparison, in 2015 the payment of interest on the public debt was 500 billion reais [about U$D 134 billion]”. “From that moment, a war started. Many account holders left private banks such as Itaú, Bradesco and Santander, taking refuge in the public banks. “The coup against Dilma is explained by the oligarchy’s desire – agribusiness, entrepreneurs, financial capital, rentiers – to end the long PT realm, despite the willingness of the center-left governments to negotiate agreements, and make numerous concessions [in favor of the oligarchy]. “The oligarchy, in the new economic situation created by the crisis, no longer wanted to negotiate anything, and was not content with concessions: it wanted to directly govern, and fully put into practice its anti-popular neoliberal program. In an international context, Lula and Dilma highlighted the cooperation South-South, supported Venezuela and strengthened the BRICS. All this, intolerable to the local oligarchy and the Washington regime, which historically fights democracy in the region through boycotts, coups, and assassinations. In July of 2013, less than a month after the “Brazilian Spring” had started, the national paper O Globo published a series of reports denouncing US espionage directed against Brazil. 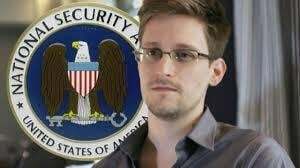 Quoting former CIA staff Edward Snowden, Brazil was the Latin American country most spied upon in the 2000’s, leading up to the impeachment of Dilma. The local media performance was then very similar to that on the eve of the 1964 military coup, with a tendency towards a new authoritarianism within the Armed Forces. Largely promoted by fake profiles on Facebook, these protests were the result of foreign support and influence, In this regard, the movements which have led to massive protests in the last years, such as Movimento Brasil Livre (Free Brazil Movement) and Vem pra Rua (Take to the Streets), are funded by US billionaires. Threats of a coup d’Etat emanating from the highest levels of the military hierarchy in recent years especially since Dilma won her second term in 2014, were followed by Marielle Franco’s murder (mocked by many conservatives, who falsely fight corruption and violence in Brazil), which coincided with the militarization of Rio: since the first days of the intervention, the military is giving out magazines to children with a cover that shows a red monster (the “red danger”) trying to attack a white-skinned, blond-haired boy, protected by the military. The Brazilian “Justice”, historically pro-upper class and corrupt, has been trained by Washington which also funds, via the State Department, the travel of Brazilian judges and prosecutors to the US according to cables recently released by WikiLeaks. These include judge Sergio Moro, responsible for Lula’s imprisonment; Moro has a longstanding background of corruption. praising the crimes against humanity committed by the military dictatorship (1964-1985). The Brazilian “Justice” system has been too strict in fighting corruption, arbitrarily condemning some parts at the same time it is now, in the Bolsonaro scandal, totally silent: how to explain that? Moreover Brazil’s “Justice” (supported by Washington) has persecuted leftist journalists, human rights activists, social movements and academics. And this expanded unabated since the impeachment of Dilma Rousseff. Under the “no ideology” discourse promoted by the mainstream media and “politicians” like Bolsonaro, Brazilians have been forbidden to think. Fear of the local “red danger” (“Dictatorship’s big mistake was torturing without killing”). Fear of Venezuela (“One of my first measures, will be the invasion of Venezuela”). Fear of homosexuals (“I’d rather my son to die in an accident, than to appear with a mustache guy”). Fear of women (“A woman has to receive lower wages [than the man], because she can get pregnant”). Fear of black people [“They (negroes descendant from slaves, from “Quilombola” community in Brazil) do nothing! I do not think are useful neither to procreate”). Fear of all “immoralities” threatening religion and family – solution: killing immoral people, in the name of God and good customs. Fear of corruption authorizing the “Justice” to put itself against Brazil’s “enemies”, or even closing every institution linked to justice in the country. Fear of democracy [“He (Adolf Hitler) was a great strategist: annihilated his enemies as everyone does when at war; I would have enlisted in Hitler’s Army”). As fear increasingly permeates Brazilian society, Bolsonaro’s campaign is based on a total absence of rational thought and critical political analysis. Any similarity to nazi-fascism “policies”, that takes advantage of fear and hate, of an enemy, generally nonexistent, to force people to abandon their liberties in the name of the common good and security? Democratic institutions have been totally destroyed by fascist influences in Brazil, who openly break the law without any embarrassment and excess of aggressiveness, as if they (including judges, public prosecutors, policemen and even public workers) were the owners of the state and a blatantly corrupt power. The nation has been delivered to the hands of the worst bandits. A totally demoralized “Justice” system: this weekend, Federal Member of Parliament Elect Eduardo Bolsonaro, son of the messianic candidate, threatened the Supreme Electoral Court (TSE) saying that “a soldier and a corporal are enough to close the institution,” after calls for an investigation to bar the popular right-wing candidate from the presidential race, and from politics for the next eight years due to spreading fake news along with Brazilian big companies. All this, under the world’s sheriff silence: so where is now Uncle Sam, to advocate for democracy in Latin America? Though the Brazilian culture is deeply colonized, elitist and reactionary, deeply discriminatory (Brazil was the last American country to abolish slavery) which, of course, favors authoritarianism in politics and in social relations in general, there is not any phenomenon to be sociologically understood from the many coups against democracy in the South-American country; the most recent assassin puppet terrifying the Brazilian long nightmare is called Jair Bolsonaro, who saluted the U.S. flag in a trip to the US in October of 2017. None of this can be understood without considering the international scenario and the process of US political meddling. Brazil’s Superior War College in Rio, which has been the object of indoctrination by the Pentagon, calls for a gradual militarization of politics. combating the enemy, starting by the internal one – a communist, the poor, the [leftist] subversive. Brazil’s “justice” system, including the Public Ministry, follows this pattern, which helped this sector to work side by side with the military dictatorship, torturing and murdering. In the case of a Haddad victory, Michael Lowy points to the danger of a “parliamentary coup,” modelled of what happened to then-President Joao Goulart in 1964. The objective was “to weaken the President’s power”. “The Parliament in Brazil is a caricature of democracy, entirely dominated by the Bullets (military, police, paramilitary), Bull (agribusiness), Bible (conservative evangelical)” and Banks lobby in Congress,” he says. “The oligarchy, which controls the Assembly, has lost all presidential elections since 2002, hence the possible ‘parliamentary’ coup against the presidency,” added the sociologist. Both Lowy and Dowbor agree that if Bolsonaro is elected president, a chaotic situation will unfold whereby prevailing neoliberal policies (as promised by the far-right candidate), will be multiplied by several times. “Bolsonaro’s election would be an immense disaster for the country, for democracy, for the Brazilian people,” pointed out the sociologist who says his popularity is an icon of the hate that marks the Brazilian society. Fleeing from debates, Bolsonaro both reflects his aversion to political dialogue. The former army captain and his running mate, General Antonio Hamilton Mourao, have threatened a de facto military coup if they are elected next October 28. The imperialist tactic in Brazil is clearcut: fomenting social divisions, generating extreme poverty and violence – to justify a hardline policy. The State against its citizens, and the citizens against themselves tragically is the most accurate way of describing today’s Brazil, left by Michel Temer – the commencement of a historic tragedy in Brazil?